Do you have a tough time finding books for your kids that are age appropriate and entertaining? I know I do. It's hard to find something your middle school/young adult reader will like that Mom will, too! So when I was given the chance to let my son read The League and the Lantern by Brian Wells, for a review and giveaway, I was thrilled to say yes! We just got the book late last week, but David has jumped right into it - reading a little each night before bed. He says these characters are fun and relateable. The adventures they find keep him reading - he wants to find out what happens next! I am glad this is a book that is appropriate for his age so I don't have to worry about the content. Something that can't be said about many books meant for readers his age. This series is targeted for readers 9 - 14. I usually read his books first to be sure they are good for him, but I'm ok with him reading this one first! Here is the synopsis: It all starts when a dangerous organization invades Jake Herndon’s seventh-grade sleepover. He escapes along with two new classmates, Lucy and TJ, only to face a 48-hour fight for survival on the streets of Chicago. The kids unravel a mystery dating back to the Civil War, and an incredible secret about Jake’s family. Along the way they learn unexpected lessons about courage, family and friendship. 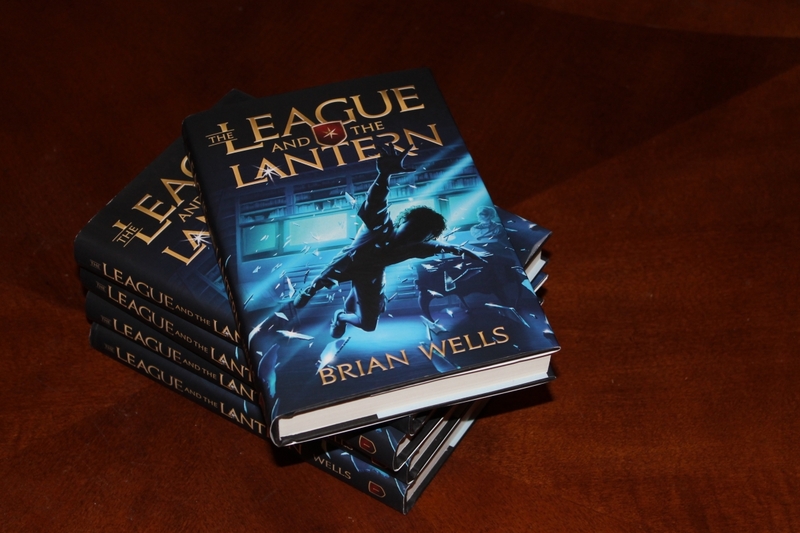 A little about the author of The League and the Lantern - Brian Wells is a concerned father who couldn't find quality entertainment for his kids. As a producer of 15 movies, he has worked for the major networks, and this is his book debut. 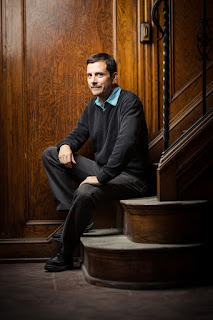 He shares "As my wife and I tried to find great, engaging entertainment options for our kids, we realized that other parents and teachers shared our struggle. We couldn't find stories and series for our children that were both flat-out awesome entertainment and reinforced the kind of character we wanted to build into our kids. Our thought became 'What if we created an adventure series that was first a fast-pacced roller coaster adventure with great characters and humor and also wove in thems such as family, friendship and compassion?' "
The book is already receiving accolades from organizations such as The Association of Christian Schools International, Parents Television Council, Focus on the Family, American Family Association, Great Homeschool Conventions and others! The League and the Lantern is the first in a new adventure series that your kids will want to read! It's written for middle school readers. As a mom who homeschools, I love the educational aspects the author included - there are 140 key middle school vocabulary words used throughout the story. and historical sites are used as settings for the book. The vocabulary words are the top 140 words needed for success - they are seamlessly woven into the story. This helps our kids stay sharp for school during summer/winter breaks - but they just think they are reading a great story! There are great moral lessons too - including family, friendship, mercy and compassion. So while my son thinks he is just reading an exciting adventure story, he's really getting a little history, vocabulary and more. I couldn't be happier about this new book series! If you purchase your book from the official website, they will give a copy to a child in need, too - how awesome is that? There is also a section on the website with bonus material - some for kids and some for parents - including a vocabulary guide. David is already looking forward to the next book in the series - I hope it comes out soon because he is surely hooked! Now you can enter for a chance to win a copy of this book in my giveaway! All you have to do is enter via the rafflecopter widget below. You MUST complete the mandatory entry and leave a comment in order for your other entries to be valid. Good luck! Disclosure (in accordance with the FTC’s 16 CFR, Part 255: “Guides Concerning the Use of Endorsements and Testimonials in Advertising”): Many thanks to Propeller Consulting, LLC for providing this prize for the giveaway. Choice of winners and opinions are 100% my own and NOT influenced by monetary compensation. I did receive a sample of the product in exchange for this review and post. No other compensation was received. My little one loves to read but she's only 1 so her favorite book is Go Dog Go. However, my nephew loves to read and he recently finished reading a few books by Neil Gaiman! Our two year old loves book. Right now we are reading the original Winnie the Pooh chapter book. My kids do love to read! We're a family of readers. :-) This should be a very interesting book. My son loves to read his favorite series is Piggie and Gerald books. My son loves to read! His absolute favorite is the GooseBumps series, he's read them all! this would make the perfect Summer read for him! My kids love to read! My eldest favorite books are the pokemon series!